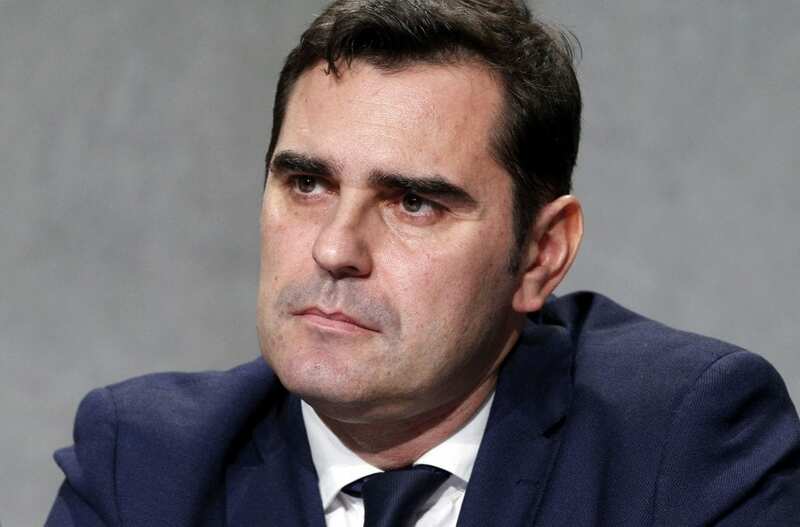 Alessandro Gisotti, interim director of the Vatican press office, speaks during a Vatican news conference on 15 January to discuss a letter Pope Francis wrote to Archbishop Vincenzo Paglia, President of the Pontifical Academy for Life. Photo: CNS/Paul Haring. Marking the Pontifical Academy for Life’s 25th anniversary, Pope Francis has this week encouraged the research and advisory body to promote human solidarity and fraternity as part of its mandate to promote human life. A sense of fraternity between people and nations has been weakened with an erosion of mutual trust and “remains the unkept promise of modernity,” Pope Francis said. “The strengthening of fraternity, generated in the human family by the worship of God in spirit and truth, is the new frontier of Christianity,” the pope said in a letter addressed to Archbishop Vincenzo Paglia, President of the Pontifical Academy. Speaking to reporters at a Vatican news conference on 15 January, Archbishop Paglia said the letter’s title, “The Human Community,” indicated how the Pope wants pro-life concerns to include a concern for human relationships – in the family, in society, among nations as well as with creation. “Life is not an abstract universal concept, it is the human person,” and the way human beings live embedded in a specific context interwoven with others, he said. Archbishop Vincenzo Paglia, President of the Pontifical Academy for Life, attends a Vatican news conference on 15 January. Photo: CNS/Paul Haring. Pope Francis sent the letter to mark the 25th anniversary of the academy’s establishment by St John Paul II on 11 February, 1994. Pope Francis said the academy’s new statutes, issued in 2016, were meant to encourage its activities, expand its fields to include the rapid and complex discoveries and changes unfolding in science, medicine and technology, and recognize the social and relational effects of these new developments. “Mutual distrust between individuals and peoples is being fed by an inordinate pursuit of self-interest and intense competition that can even turn violent. The gap between concern with one’s own well-being and the prosperity of the larger human family seems to be stretching to the point of complete division,” he wrote. People’s awareness of this paradox often leaves them “demoralised and disoriented, bereft of vision,” he said, and in even greater need of the hope and joy offered by Christ and of a taste for the beauty of a life lived in fraternity with others on the earth as a common home. “We can question seriously whether we have done enough as Christians to offer our specific contribution to a vision of humanity capable of upholding the unity of the family of peoples in today’s political and cultural conditions,” he said. “These efforts must certainly continue, with an eye to emerging issues and challenges that can serve as an opportunity for us to grow in the faith, to understand it more deeply and to communicate it more effectively to the people of our time,” he said.